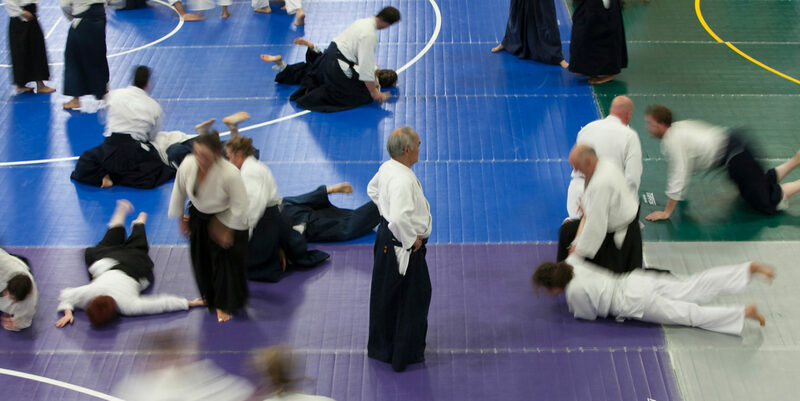 First, my original perspective was that it was increasingly difficult to attract younger people and that perhaps this reflected a cultural shift away from interest in Aikido as a noncompetitive martial art. I saw mainly older incoming students in my (and other) dojos. I saw the rise of UFC, mixed martial arts, World Combat Games (with Aikido) and the public’s excited acceptance of competitive sports as reflected in the media-driven marketplace. Despite this original perspective, I continued to train, to study, to search for a successful niche, to run a dojo, to support my fellow teacher’s dojos and to understand what was going on. Over time, though, I am seeing, feeling a shift in my perspective, particularly in “how” and “where.” For example, I wonder if the difficulty in reaching younger students is because of “how” I am communicating. Perhaps, I am not communicating effectively. Perhaps, they are there, looking for a teacher, looking for training; but I am speaking the wrong language. Do I understand “how” younger students communicate, their language? They have the same basic human motivations as everyone else, but perhaps I am not appealing to those motivations in a way that can be heard. Second, “where” am I communicating? Am I communicating or appealing in the correct forum, or am I just throwing my message out to the world and hoping, like I have always done? Do I know “where” these younger students communicate? I thought it was Facebook, the Internet, and the web; but with a teenage daughter and son, I am learning that their forums are much more sophisticated and constantly evolving. Forums that I had never before heard of, don’t know how to enter or I am uncomfortable in. I guess my perspective has changed from believing younger people are uninterested, to wondering if perhaps “how” and “where” I am communicating to these younger people is ineffective. Similarly, my original perspective was that there had been a cultural shift away from interest in Aikido as a noncompetitive martial art; perhaps that explained my lack of students. But here also over time, my perspective has evolved. As I looked to the growth of MMA gyms and other martial arts schools, my eyes also saw the growth of Zen groups, yoga studios, new megachurches and an increasing public awareness of health and fitness concerns. I learned about a new political perspective, “LOHAS,” that called for political choices to be made based on a “Lifestyle of Health and Sustainability.” An achievable “better” life had become a catalyst in the public and media. Again, perhaps my original perspective was too narrow. Perhaps, Aikido wasn’t just a non-competitive martial art. Perhaps, I needed to learn to see it as something different. 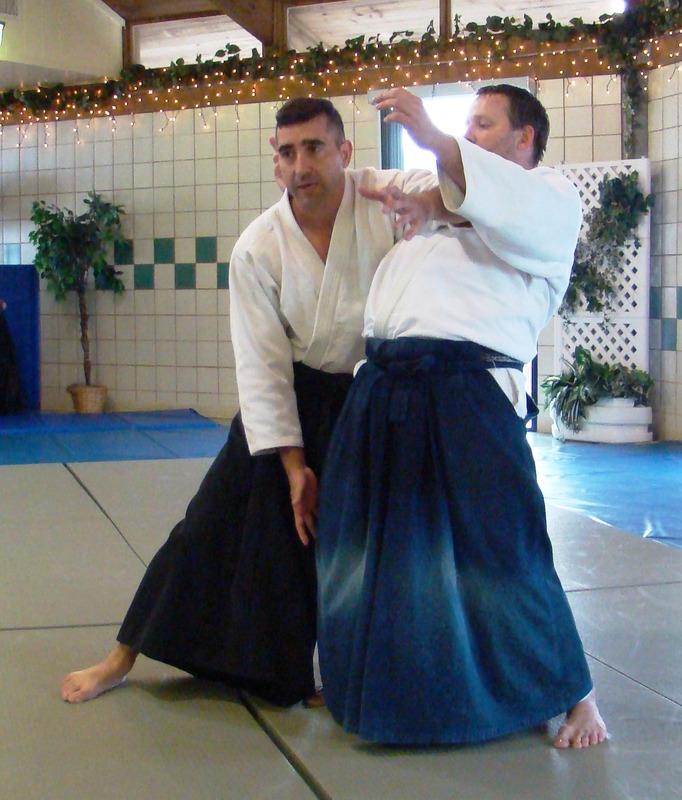 As I’ve come from the very martial background of a career of service in the U.S. Marine Corps, I asked myself whether I was training in Aikido to learn a noncompetitive martial art. I know when I started Aikido it was to maintain a martial edge while I was away from the military service, finishing law school. But law school was only three years, and there I was back in the military still practicing Aikido. So what else held me to this art, this training, that Chiba Sensei was transmitting? Perhaps, it was the promise that I might change, develop or mature who I was. As I look back, I now see a system of training that provided me the time, distance, space and opportunity to transform whom I was as a person. My prejudices, weaknesses, impurities were revealed. I learned how to let them go; to take ukemi. Now, I ask whether I am practicing a martial art or a transformational art. Perhaps, the martial seriousness of our training provides a context or background for the real purpose of changing human beings? If so, then have I overlooked plenty of potential students who are seeking a transformational process and a structured environment to support that transformation? Perhaps, the cultural shift needs to be my perspective or understanding of Aikido. Instead of trying to teach me noncompetitive martial arts, perhaps Chiba Sensei was trying to teach me to be a different person, a fully actualized person. With these changed perspectives of “how,” “where,” and “what,” as a teacher I see that I have some work to do still. First, I need to learn how to communicate with the potential younger students and where those forums are that their communication occurs. Second, I may need to more accurately communicate what I am transmitting. Instead of offering noncompetitive martial arts, perhaps I am offering a way to transform yourself… and the world. This essay was submitted as part of Peterson Sensei’s Shidoin recertification test. Thought provoking. Thanks for sharing! Brilliantly conceived and written piece Alex . Deep on subject and informative . Thanks for sharing your inner thoughts and feelings as you travel the path .